No one makes getting your certification easier than Sea Level Diving! 1. Academics: This is the knowledge development portion of the course. You can do this "in house" at Sea Level Diving during our conveniently scheduled classroom sessions or with PADI's online training course. 2. Pool Training: In the comfort and convenience of our on-site, indoor pool, you'll learn the skills needed to scuba dive. 3. Open Water Training Dives: you'll complete 4 open water dives demonstrating your mastery of the dive skills you learned in the pool. The dives can be done with us at Three Oaks Recreation Area, less than a mile from our store or while on your vacation through PADI's worldwide referral program. That’s it, you now have a life-time Scuba Certification with PADI, the world's largest certification organization! Not sure if you're ready for scuba lessons yet? Try our 1 hour Discover Scuba Class!! Your choice of 2 different classroom and pool training schedules. 1. Saturday and Sunday 9 AM to 5 PM, 1st half of day classroom, 2nd half day pool, each day, finishing in 1 weekend or 2. Two Tuesday nights (classroom) and two Thursday nights (pool) from 6:30 PM to 10 PM, finishing in 4 weeknights. Open Water Home Study kit, which must be done before your class starts, containing the PADI Open Water Training Manual, a divers log book and other classroom materials. Please pick up you home study kit as soon as you register for class. Use of all scuba equipment. Referral paperwork to take with you on vacation if needed. Proper fitting snorkeling equipment will greatly increase your overall comfort and safety while scuba diving. Therefore, you are required to have your own mask, snorkel, fins and boots suitable for scuba. To ensure the best possible fit, our expertly trained staff will help you select your equipment. 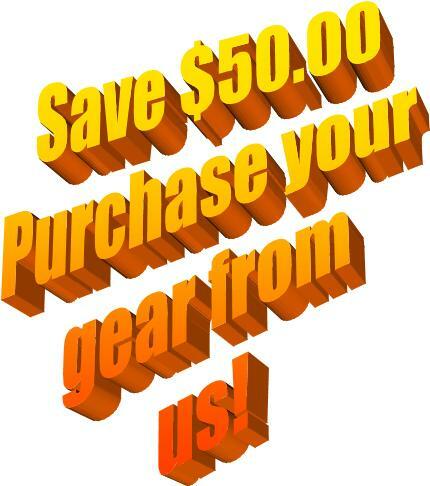 As a student you will receive our Equipment Satisfaction Guarantee and a $50.00 discount on the course fee when you purchase your mask, snorkel, fins and boots from Sea Level Diving. Register for our in house class & pool training by calling or use our web registration. Please click on our CALENDAR for dates. Private classroom and pool training available to fit any schedule. Big News!! We now do our training dives at 3 Oaks Recreation Area, only minutes from the store. No more driving hours to the dive site!! No other dive shop makes it easier to get certified. Sea Level Diving has the classroom training, pool training and training dives all in one location. Just one more reason Sea Level Diving is the best choice for your scuba training! 4 open water training dives. 2 dives on Saturday and 2 dives on Sunday. Please click on our CALENDAR for dates. Private Training dives available. Would you like to try scuba before you sign up? 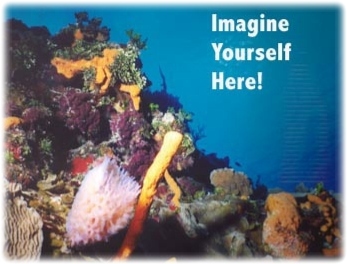 Discover scuba is for you! Commonly asked questions about scuba and our course. Why Sea Level Diving is the best choice for you scuba lessons.